Hello, my name is Savannah Dahab and I am a team member at The Villalobos Real Estate Group at RE/MAX Metro-Eastside Brokers. The RE/MAX family of brokers and agents has held the #1 market share in residential transaction sales in the United States since 1999. This allows my team to provide you with access to real estate resources. 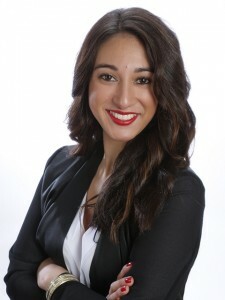 I joined The Villalobos Real Estate Group because we are committed to full service for each valued client. Our team pays attention to detail and provides the ultimate real estate experience through excellent support. We are available to answer your questions and meet your needs as they arise. Its a sellers market in Seattle, which means buyers need a team of quality real estate professionals. We represent you and help you find the right value in a new home. Keeping you well informed of progress, the activity, and the best answers is what my team and I do for you during the home buying process. As a listing agent we work rapidly and comprehensively to have you property sold quickly. We will negotiate so you get top dollar for your valued home.